Blue is a color often found in nature such as the pale blue of a daytime sky or the rich dark blue of a deep pool of water. It is for this reason perhaps that people often describe the color blue as calm and serene. Although it is a cool color, it doesn’t give you the chills. You will feel very welcomed and peaceful in a pale blue room and as the name suggest you will get your quiet time away from the busy, stressful world. Sitting in a pale blue room is like forgetting all about the reality and entering an unreal territory. In Tibetan Buddhism, blue is the color of wisdom, creating a copy for the sky’s infinity. Let’s have a look at the whole blue family. What do we associate it with and how does it make us feel? Because blue is favored by so many people, it is often viewed as a non-threatening color that can seem conservative and traditional. 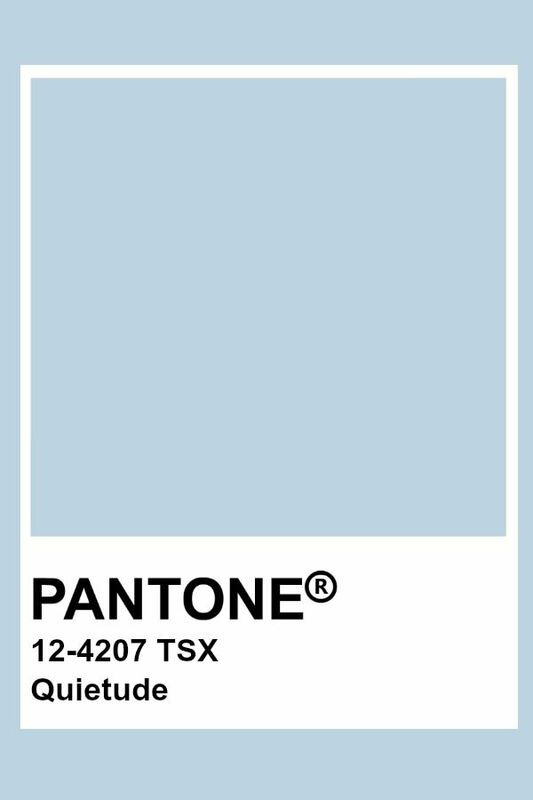 If you want to create a calm, almost unreal feeling for your house, you should think about painting your walls in this shade. The pale hue of quietude is very discrete and fine giving the impression of a very delicate space. We decided to use quietude in a fresh color scheme and paire it with neutrals and salmon pink for an elegant, spring inspired interior. When it comes to using quietude in your home or in your workspace, there are plenty of creative ways to incorporate this beautiful and playful colour in the form of accessories, furniture, artwork, and wall and window treatments, so have fun and let your creativity run wild. Hopefully you got some new inspiration and will bring some quietude blue into your life. Have a lovely April everyone! If you would like to incorporate quietude into your home and don’t know how to do it, feel free to contact us by filling in the form below.